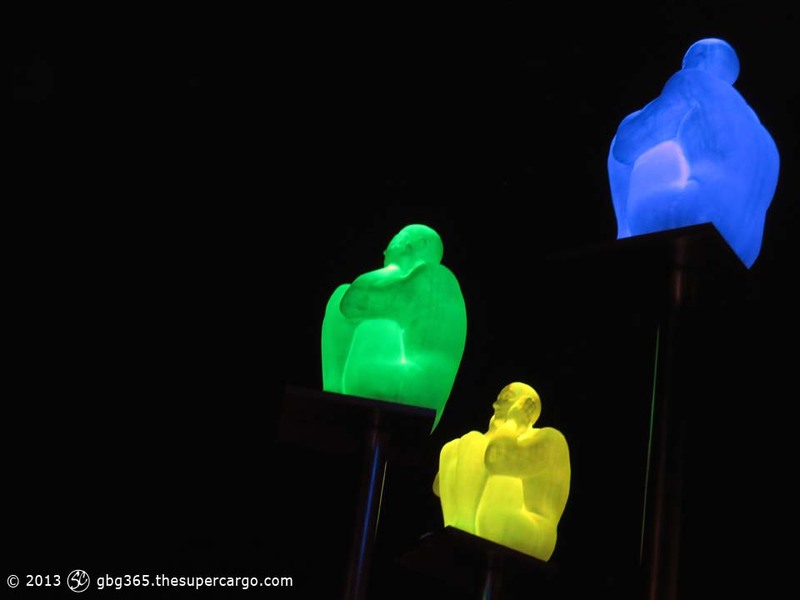 Illuminated sculpture of three figures illustrating the saying ‘Hear no evil, see no evil, speak no evil’. 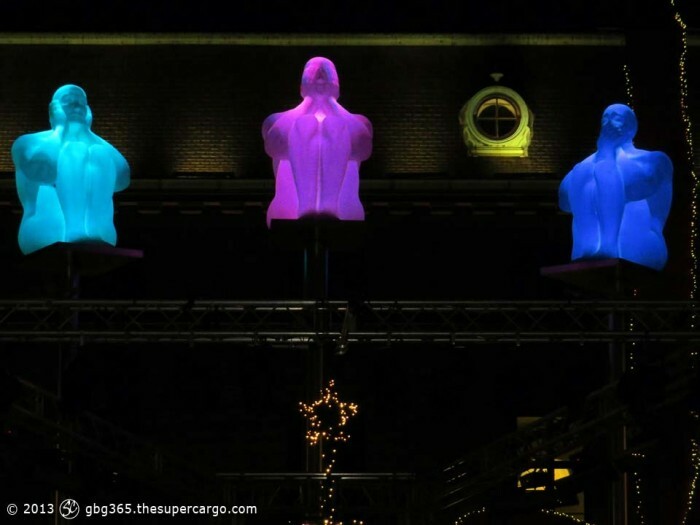 The figures are on poles in Drottingtorget in front of the Post Hotel. When switched on, they each change colour – dramatically against the night sky. The sculpture is called “Dröm” (Dream) and was made by Catalan Spanish artist Jaume Plensa. These figures previously appeared in a daylight photo on this website (taken with the old camera) in November 2012.